The purpose of any business is to maximize profits and minimize cost as much as possible. 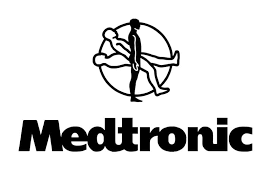 Medtronic is no exceptional since it is a business not only established to provide solutions to people but also make profits. It is, therefore, justified to cut on cost as much as they can. Since the laws in the country allow tax- inversion, the company is justified to do so. For most businesses profits come first when it comes to choosing between good corporate citizenship and money. Therefore, to balance this, the corporates are committed to corporate social responsibilities which benefit the country. For example, Medtronic has committed itself to employing students from the best universities in the United States. The decision not only helps the students but also the country since no money is made in the country goes outside. The companies also invest in the country in other projects like bonds or stocks then the taxes from these investments are taken by the government. The government can respond to the corporates’ tax-inversion by lowering taxation rate on these companies. The decision would be an incentive for maintaining their citizenship which in the short term will cause the country’s economy to be slightly affected but in the long run, will prevent more companies from relinquishing their citizenship for another country with lower rates. The state of California in 2012 decided to lower the rates and accommodate more companies. There was an economic crisis, but in the long run, the taxes have been retained (Kocieniewski). Alternatively, the government should try and cover the loophole the laws leave. It could be like formulating stringent rules on the companies to control tax-inverse. There are various ethical ways to look at this case, however, judging by Utilitarianism, the decision by Ireland not to accept the money would be appropriate. Reason being that if the country were to take money, it would impose lots of consequences like a lot of people losing their job as Apple is threatening. The money to be paid would not be enough to take care of debts the country owes, it would only hurt the economy. The decision will also protect the country’s reputation for corporate tax rates for international companies. However, according to the European Commission, the deal between Ireland and Apple is illegal (Leahy and Taylor). A company should always work under the policies stipulated by law. If Apple had operated under the laws in Europe, it would not have been in the situation where it has to pay so much money. As much as they try to avoid paying the amount through threatening, they will also lose in their business as they cut on this. Maximization of profits is imperative, but keeping the law in mind will help avoid problems from the beginning. Profit maximization is the primary reason for companies getting into a deal with a country, while maximizing benefits for its citizen is what drives a country into making such a deal. However, the company should reconsider before getting into this kind of deal since the country might be bound to other powers above it, just like Ireland and the European Commission.